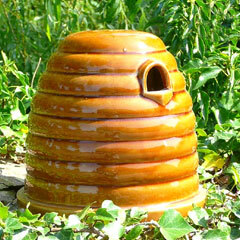 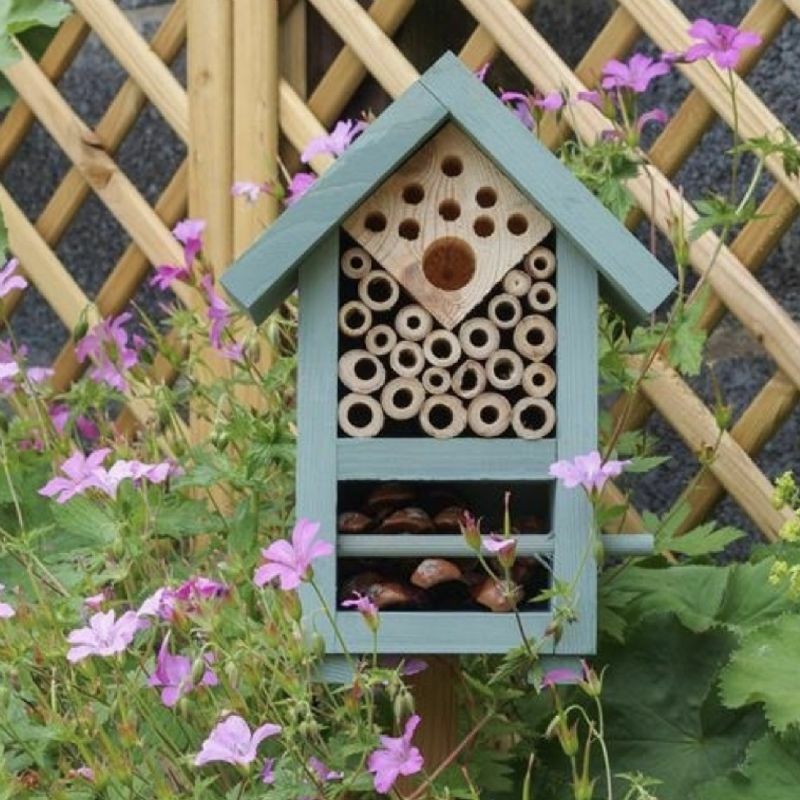 Bees and insects are vital for pollination in and around the garden. 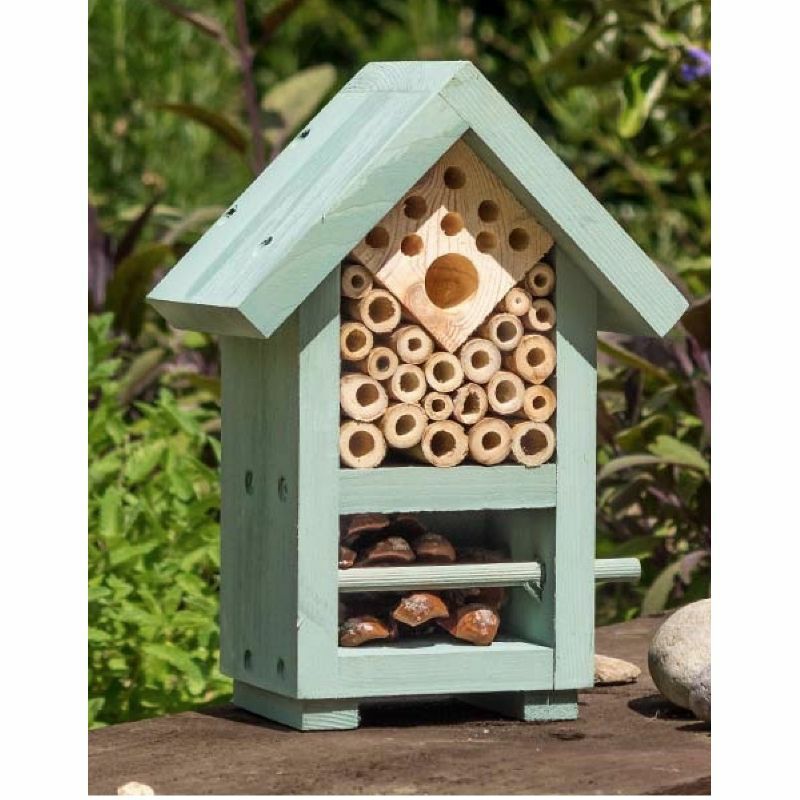 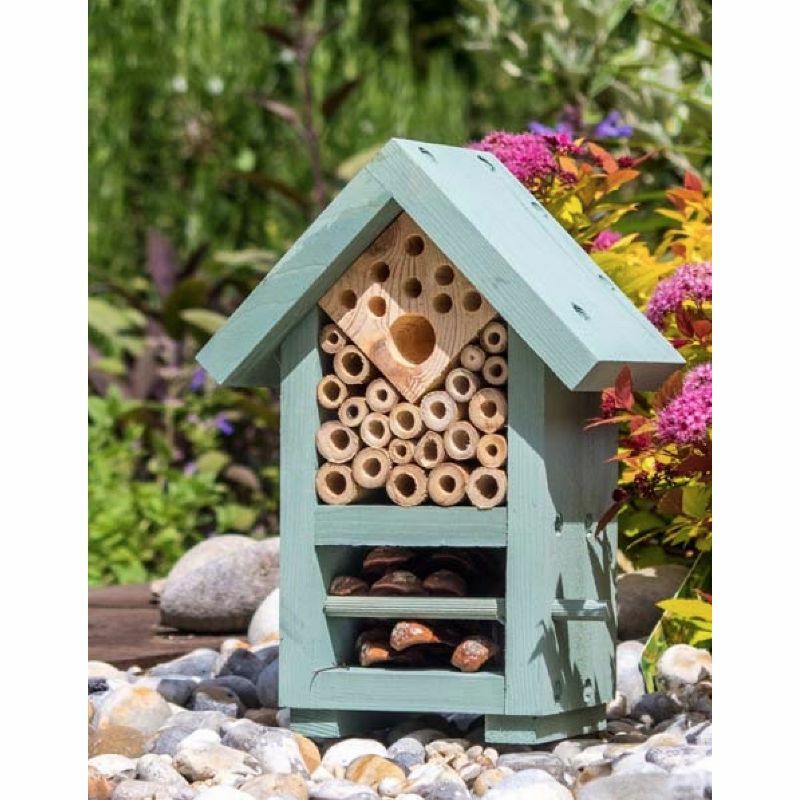 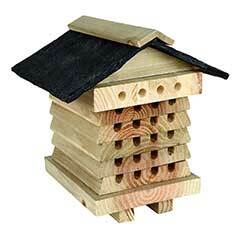 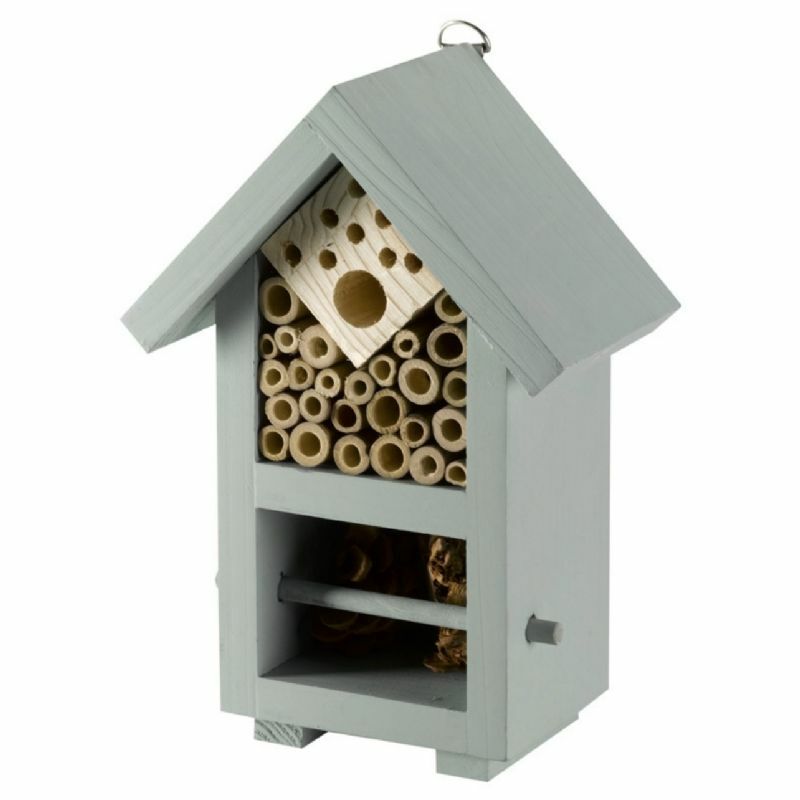 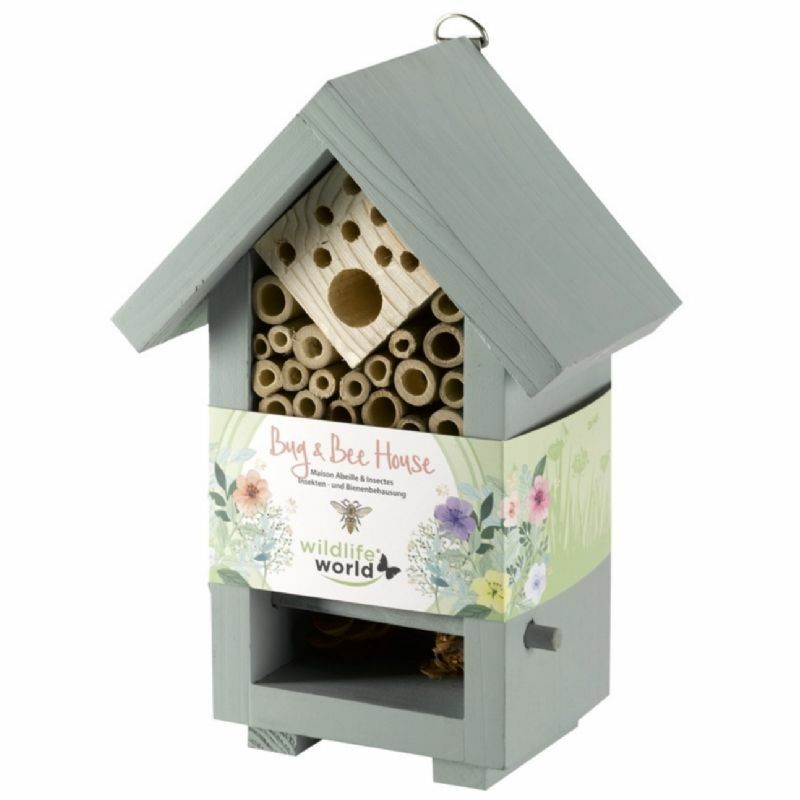 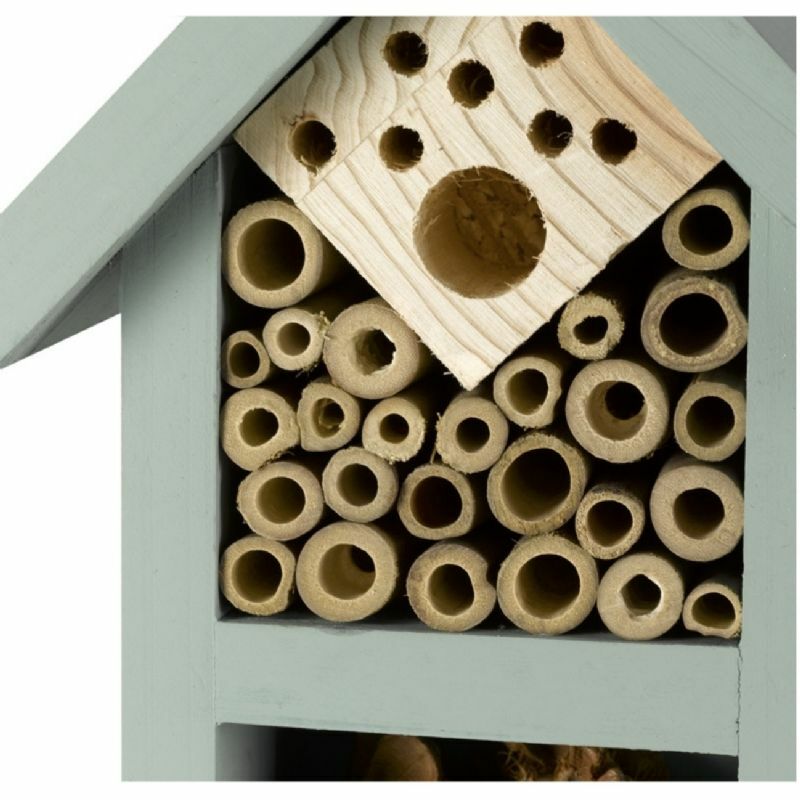 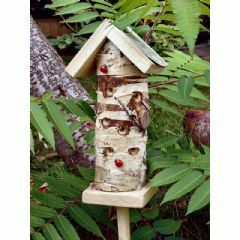 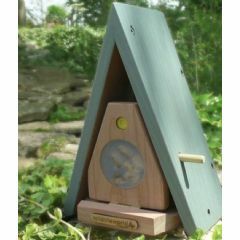 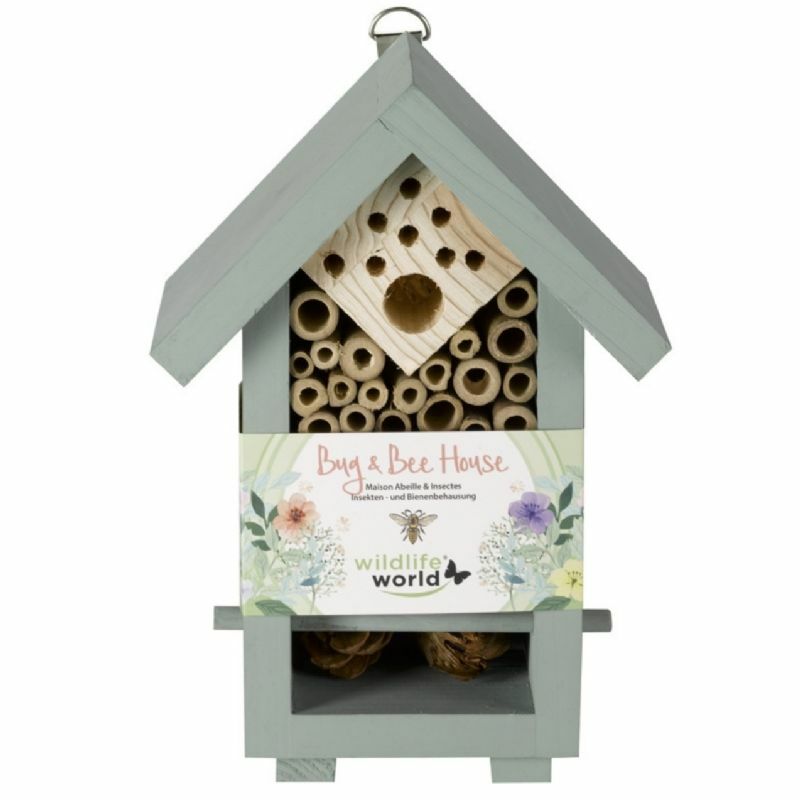 This Wildlife World Bee & Bug House will help attract them to your outdoor space, providing a snug home for bees, ladybirds and other beneficial insects such as lacewings. 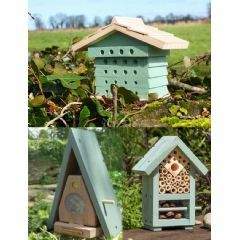 Made from sturdy timber and painted in a stylish soft green finish, the house can be hung from the included D hook or placed on a wall or ledge. 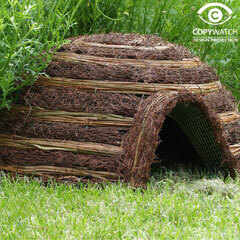 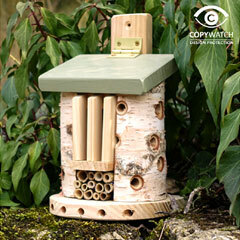 By facing the house south east, a warm sunny environment will be created, helping rouse solitary bees in spring.